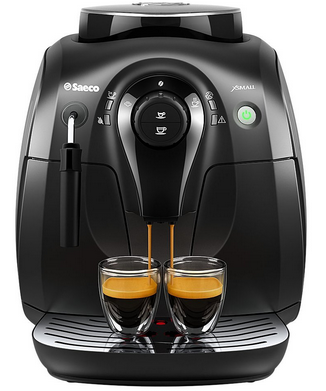 33 Best Super Automatic Espresso Machines On The Market Reviewed! Super Automatic Espresso Machines are dream machines. At the press of a single button, these modern marvels will grind, tamp, and brew absolutely consistent shots to your exact specifications. Further, they will remember your favorite recipes and customization. These Super automatic espresso machines literally do almost everything for you but drink your espresso. They produce superb macchiato, cappuccino, and chocolate drinks in addition to espresso drinks (such as ristretto). These top-end espresso makers will also steam silky microfoam latte milk or froth some creamy cappuccino milk. You will pay a higher price (typically $400 and up) for the convenience of these super automatic, automatic, or semi-automatic espresso machines. These premium models allow you to produce and re-produce your favorite espresso in a breeze! 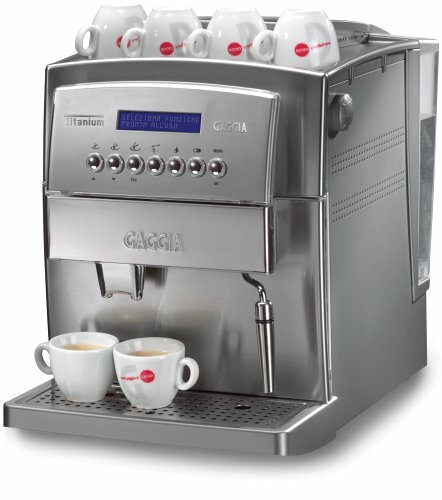 These fine super automatic espresso machines come in multiple styles and sizes. Some provide a compact form factor which can attractively sit on a kitchen counter. 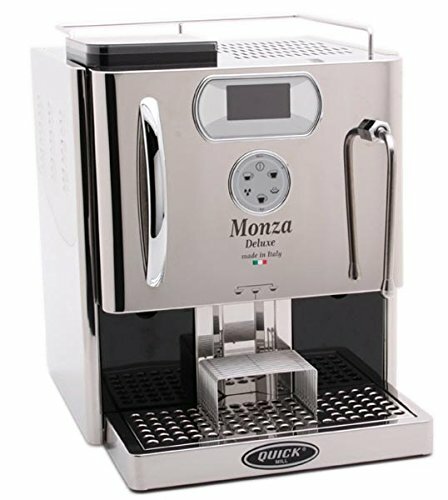 Others are large and best suited to for the truly serious espresso aficionado or as a commercial super automatic espresso machine. The choice is yours. 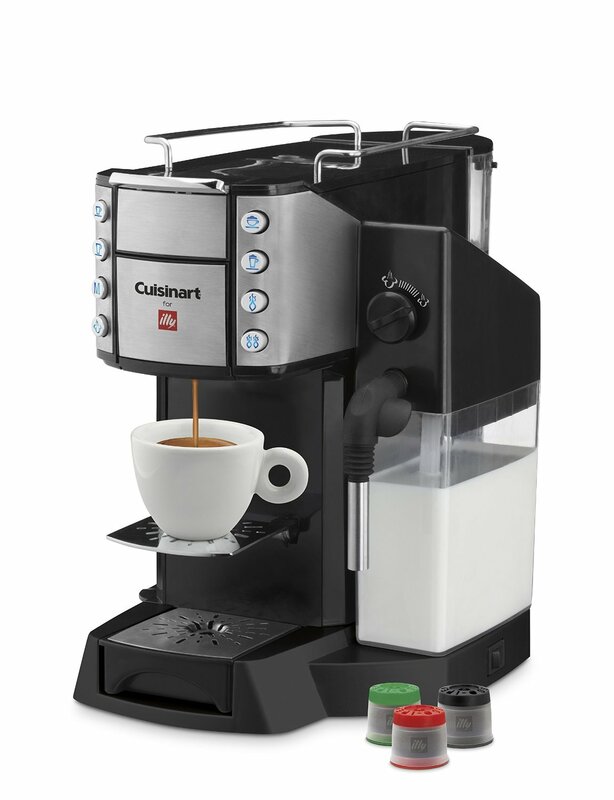 See our reviews of the best super automatic espresso machines either by brand (below) or in our buying guide covering espresso machines across all popular brands. What is a Superautomatic Espresso Machine? Given the fact that super automatic espresso machines do everything with the push or touch of a button, it’s very important to choose a machine that is able to deliver consistent results. While convenience is indeed important, you also need to get a machine that can be easily operated, with the digital models being the best for novice users. It’s very important to take note that if you want to make a lot of milk based drinks, then you’ll need to consider getting a dual boiler system. On the other hand, if you just want to make cafe creme or espressos, then a single boiler system is going to be just fine. Volume, strength and also coffee aroma can all be easily customized. On top of that, the ceramic grinder uses the company’s Adapting System for adjusting the RPMs in order to ensure that the right amount of coffee grounds is dispensed. 5 grind settings allow you to specify the roast and blend of your espresso, while Rapid Steam technology prepares your drinks quickly and easily. If you prefer to use pre-ground coffee, the Anima’s bypass doser allows you to skip the grinding process. Cleaning and maintenance are a breeze with this system’s removable brew group. A programmable descaling cycle allows for regular hassle-free maintenance. 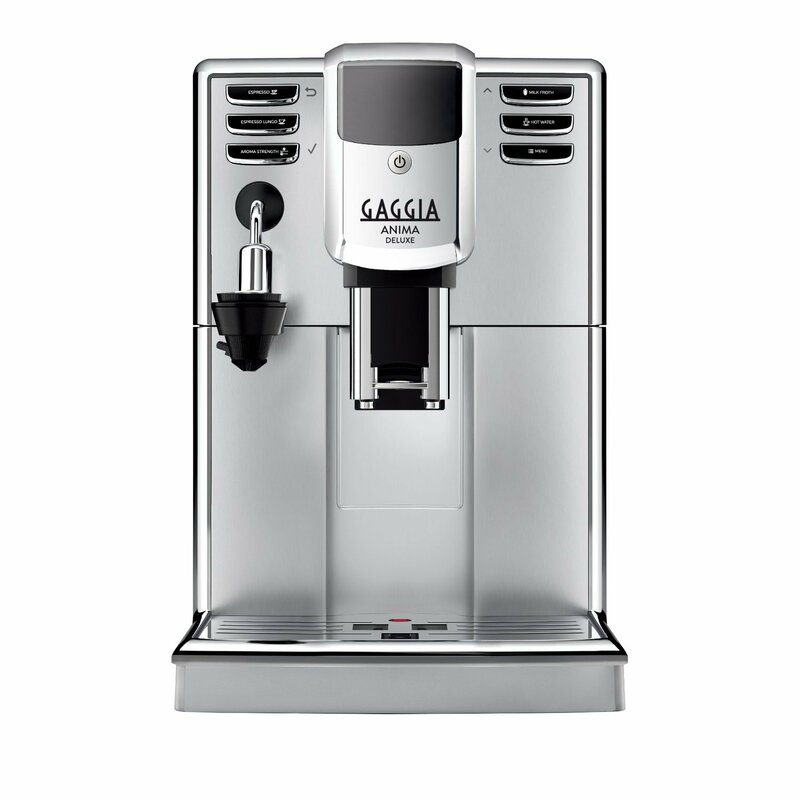 The Gaggia Anima comes equipped with an adjustable spout, 60 oz. water reservoir, and automatic standby energy save mode. The Gaggia RI8762 is truly a great espresso maker and since it incorporates an auto frothing milk carafe, you can easily use it to produce rich milk that has a creamy and delicious texture that’s perfect for lattes and cappuccinos. Just like the original Anima, the Gaggia RI8762 features a ceramic burr grinder. It has five grind settings to easily accommodate the blend and roast of your espresso. Ceramic burr grinder preserves the original great taste of the coffee beans without imparting any burned taste. In terms of maintenance, the Gaggia RI8762 is very simple to clean and that is thanks to the fact that it incorporates the company’s patented removable brew group. 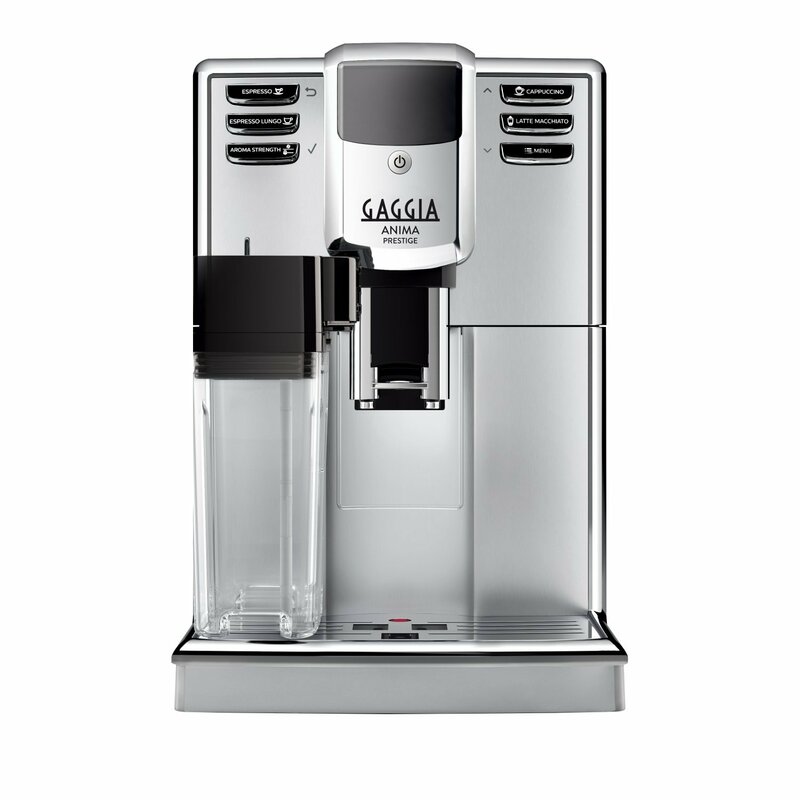 On top of that, the LCD display on this model is going to let you know when the machine requires maintenance and if you want, you can also program a descaling cycle to ensure maximum functionality and reliability from the Gaggia RI8762. 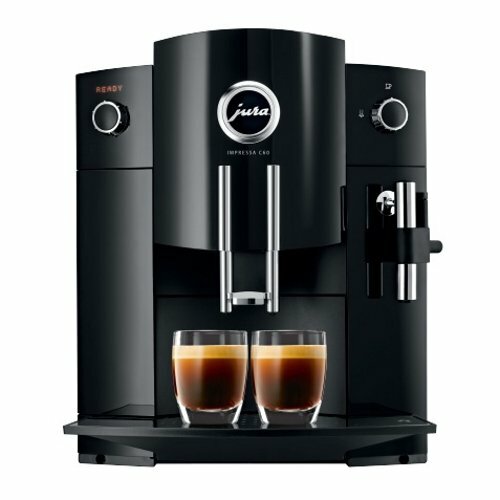 Given the fact that you also get a pre-infusion feature which guarantees maximum aroma and flavor extraction, a sixty-ounce capacity water reservoir and an adjustable coffee dispenser with a maximum height of five point nine inches, the Gaggia RI8762 is an overall great espresso machine you’re definitely going to love using. See Our In-depth Gaggia Anima Super vs Deluxe vs Prestige Comparison Here! With its responsive performance and charming looks, the new Gaggia 1003380 Accademia is certainly going to help you rise through the ranks when it comes to preparing the perfect espresso shot. Incorporating a bright display, a durable metal frame and a front panel made of stainless steel, this model is both charming and refined. 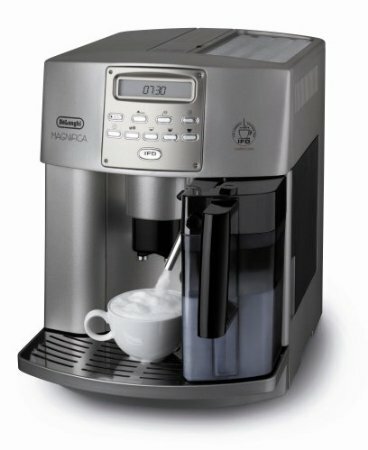 For maximum flavor extraction, the 1003380 Accademia comes with a pre-brewing system, allows you to program the coffee quantity from seven to ten cups and ensures that beans are grounded perfectly thanks to the ceramic burr grinder with double lid aroma saver and integrated bean hopper. 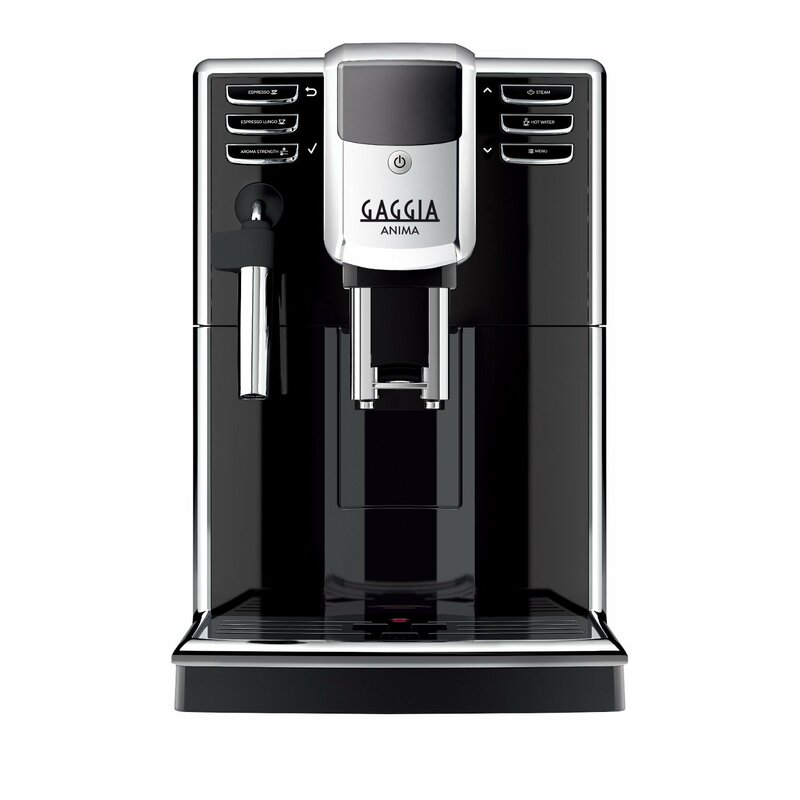 The Gaggia 90500 was designed with the on-the-go consumer in mind. It warms up in under 1 minute, allowing you to get your perfect cup of coffee even when you’re in a rush. The LCD display and push buttons create an intuitive operating system even for novice brewers. With 18 adjustable grind settings, this system can brew a cup of coffee for every taste and preference. The ability to bypass the grinding system means you can use pre-ground coffee for an extra quick brew. A frothing wand with Rapid Steam technology allows you to froth milk with virtually no wait time. A stainless steel lined brewing boiler and additional steaming boiler mean you can brew your cappuccino and espresso with virtually no wait time in between. This system also comes with an included cup warmer, 8-1/2-ounce bean hopper, and 60 oz. water tank. There’s also a dual heating system which helps eliminate the wait between the espresso and milk, meaning that you can easily prepare drinks for multiple guests. Given the fact that it can also take any mug or cup size, this machine is certainly going to be everything you need to make a delicious cup of your favorite coffee blend. 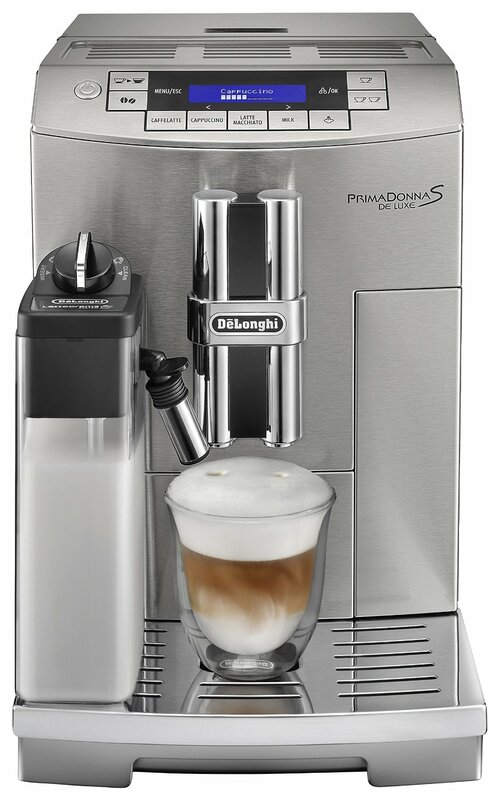 DeLonghi is well known in the world of coffee makers and with the Super Automatic Espresso and Cappuccino Maker, they really managed to create a product that is going to meet your needs for delicious espresso shots. 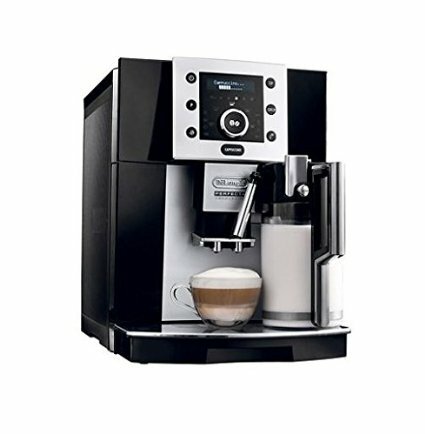 First of all, what you’ll love about this Delonghi ESAM3300 Magnifica Super Automatic Espresso Machine is the fact that it comes with a built-in burr grinder which ensures the beans are grinded immediately in order to make the freshest latte, cappuccino, coffee or espresso possible. Since this is a double boiler system, the wait time between espresso and steam is considerably reduced. 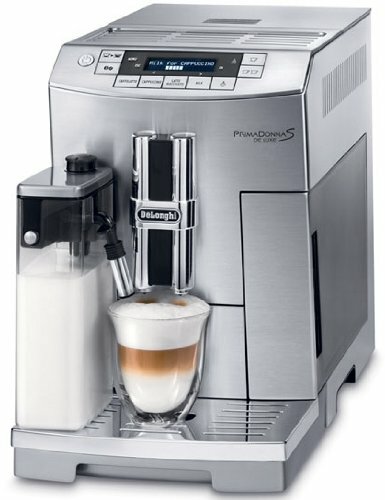 What you’ll also love about this model is the fact that is also comes with a My Coffee setting which makes it easy for you to set all of the parameters for the amount and level of milk froth, grind size, water temperature, water amount in order to make the ideal coffee drink. Nothing’s worse than milk that’s been sitting out too long. This model eliminates this problem with a self-contained, fully removable milk carafe that can be placed in the refrigerator to keep milk cold. 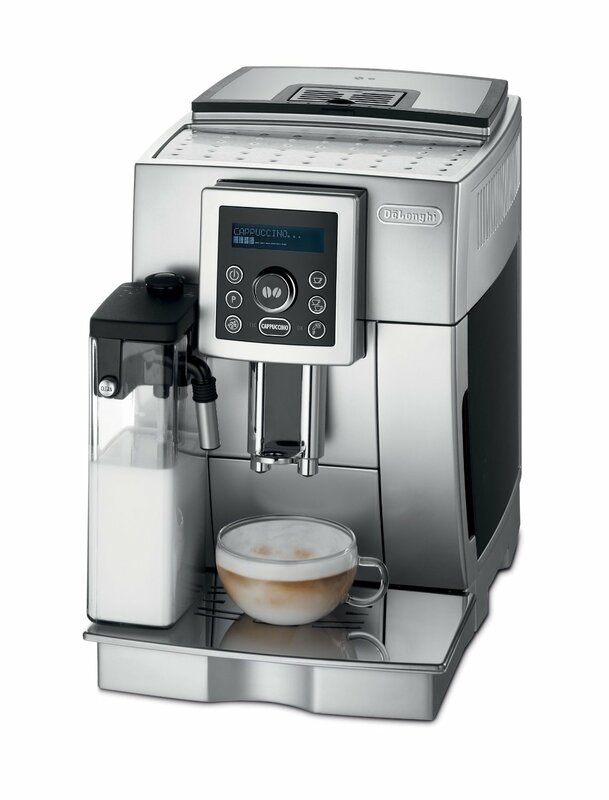 DeLonghi’s patented “Direct-to-Brew” system grinds beans instantly for exquisitely fresh taste. The unique long coffee function elongates the brewing process so you can enjoy the taste of drip coffee. Programmable menu settings include adjust start time, auto off, clock, temperature, coffee strength (5 settings) and cup size (4 settings). 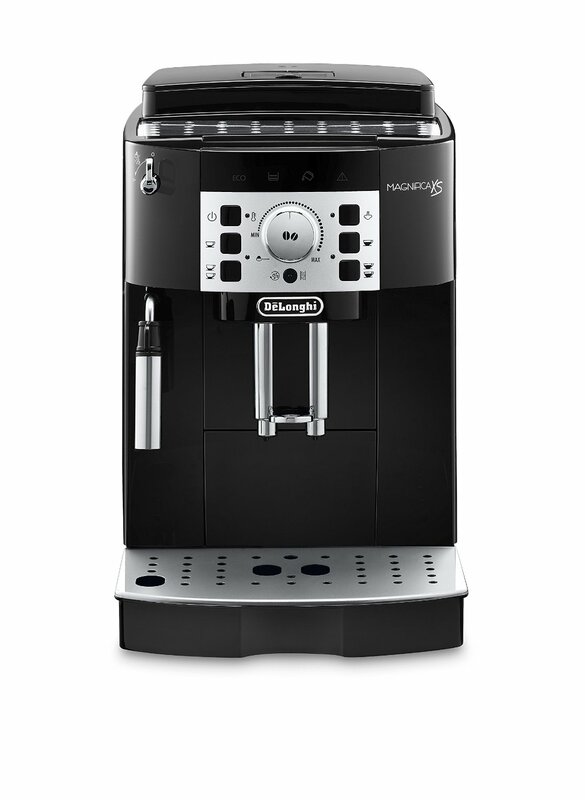 The DeLonghi ECAM23450SL is a stylish, super-compact design well-suited to tight counter spaces. Its digital control panel and one-touch cappuccino system make brewing specialty drinks simple and fun, even for beginners. Highly customizable settings allow for the perfect cup, even for coffee aficionados. A built-in water filtration system means you can use simple tap water to brew delicious tasting coffee. The removable milk carafe can be easily cleaned with the machine’s automatic cleaning function. The integrated burr grinder is stainless steel and features 13 grind settings, so you can choose the ideal grind for each drink. An integrated energy-saving switch saves up to 77% energy when not in use. The aroma button time-releases water so that coffee grounds are saturated slowly, allowing you to extract a fuller flavor. The frother expertly mixes steam and milk for perfect, creamy foam every time. For easy cleaning, all included parts are dishwasher safe. A built-in water filtration system allows you to conveniently use tap water for brewing. 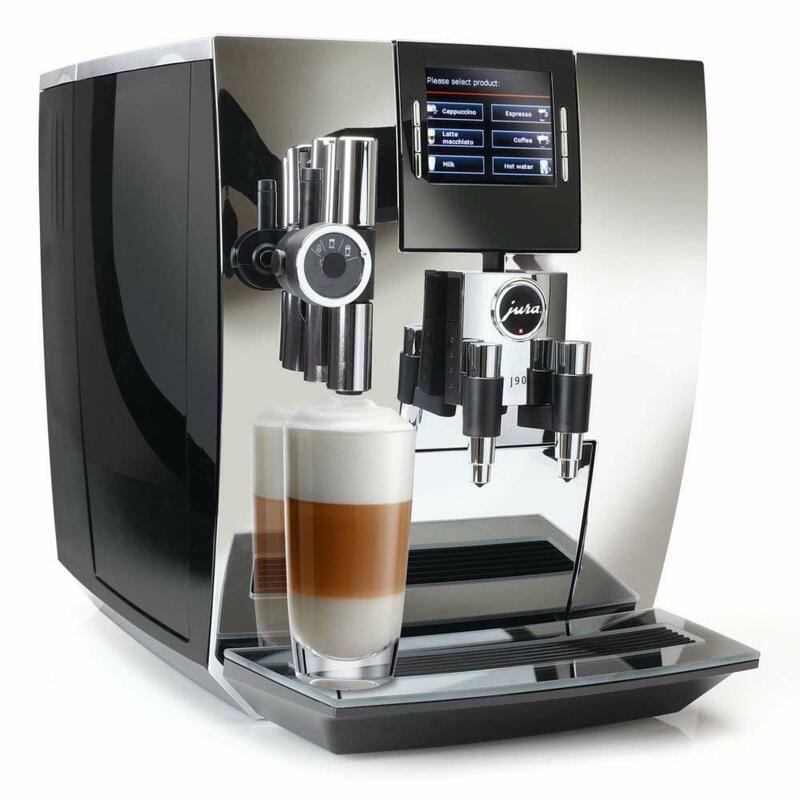 Whip up cappuccinos one after the other with the patented Rapid Cappuccino System. A removable drip tray is specially made for use with lattes. 5 strength settings allow ultimate control over any cup. This system also features a convenient water filtration system, cup warmer, removable 60 oz. water tank, and height adjustable coffee spouts. 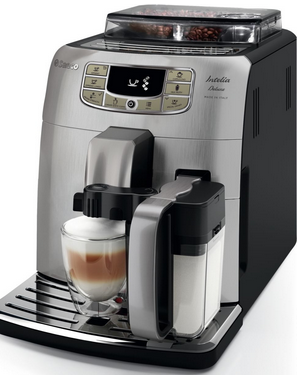 Make cappuccinos without the hassle with the DeLonghi EN670.B. The single-touch hot milk system means you don’t have to move the coffee cup to make a perfectly frothed drink. Quickly and easily clean the milk container with the clean button on the front of the machine. A double boiler system means minimal wait time in between preparing cappuccinos and espressos. Espresso shots are poured quickly with the touch of a button. The included sliding drip tray accommodates latte cups. The milk container is easily detachable for cleaning and to store milk in the refrigerator. 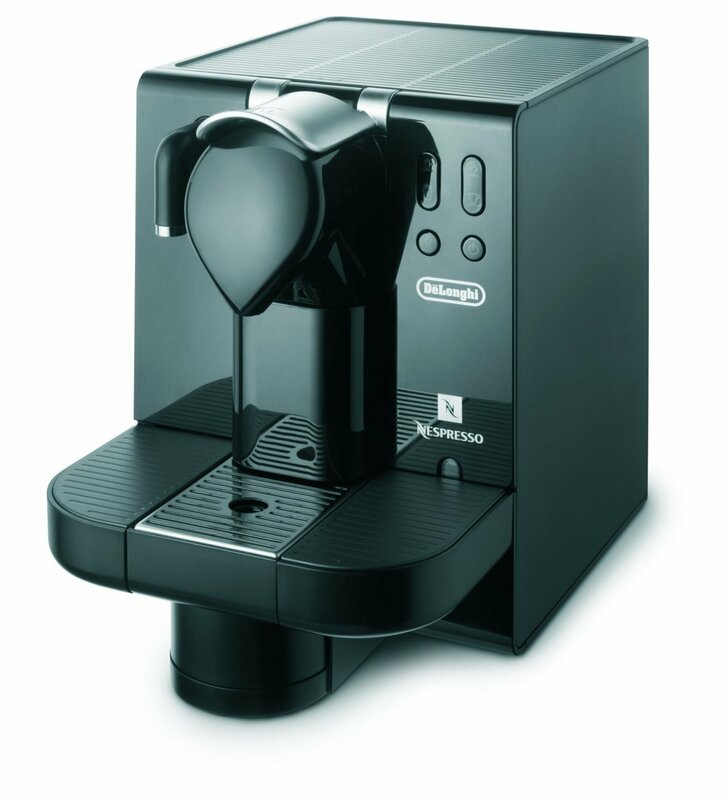 The DeLonghi Nespresso Lattissima uses a patented coffee capsule system. Capsules are available from Nespresso and come in a variety of flavors to suit every taste. 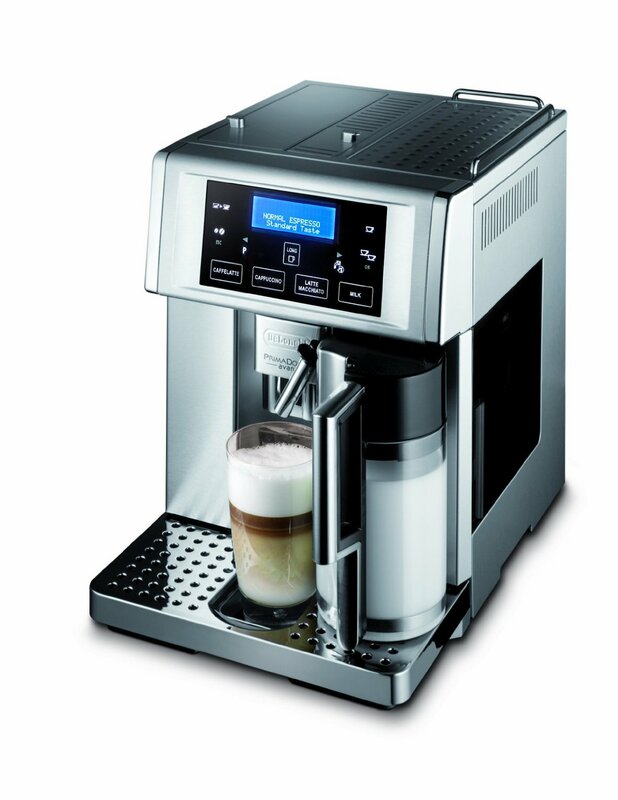 The DeLonghi ESAM3500.N is capable of preparing a wide range of coffee drinks, including lattes, cappuccinos, coffee, espresso and more. You can easily brew directly into the twelve oz cups, demitasse or espresso thanks to the height adjustable coffee spouts this model comes with. Thanks to the instant reheat function, keeping the ESAM3500.N at the right temperature is a breeze, regardless of the length of time between cups. The IMPRESSA J line has won numerous international design awards. The outstanding design will complement your home while producing superior espresso drinks. TFT display for self-explanatory, intuitive operation. 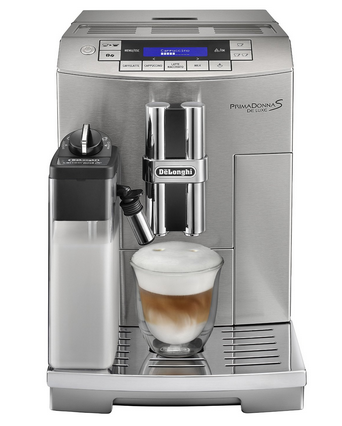 The latte macchiato and cappuccino buttons make it a breeze to brew your favorite coffee. By pushing a single button, the coffee is ground, the milk is siphoned, heated and then frothed into the cup in seconds. You can access the wide range of machine functions by using the rotary dial. These functions include machine information, maintenance, programming, and more. Thanks to the Clear water filtering system, decalcifying is rendered obsolete. Pre-ground coffee funnel with the bypass doser for delicious coated or flavored pre ground coffee. Automated milk frothing system (but not manual). 2 temperature levels and 3 coffee strength levels to choose from. Water volume, brewing temperature, steam and water positions and Auto on/off. Sound insulated steel conical burr grinder (commercial grade), featuring 6 fineness settings. You can set the J9 to a total of 7 languages. It can also display time and cup size in both US and European format, can be set to turn off and on automatically and can keep track of all activities. The Jura J90 is controlled with a really great touch TFT display for self-explanatory, intuitive operation. Simply turn the Rotary Switch and a list of specialty coffees appears on the TFT display. Just press the button once, and you‘ll soon be enjoying a delicious cup of coffee. The same touch TFT display that makes it easy to select from a wide range of drinks also provides alerts such as to refill the water tank and perform machine maintenance. One of the best things about the J90 is that you can easily program just about anything. The main categories include hot water, milk, latte, cappuccino, but also espresso and coffee which can be customized even further. There are few disadvantages with this fine machine. Cleaning of the milk components is a bit more difficult than expected. The milk temperature when first drawn may be a bit too low for some. 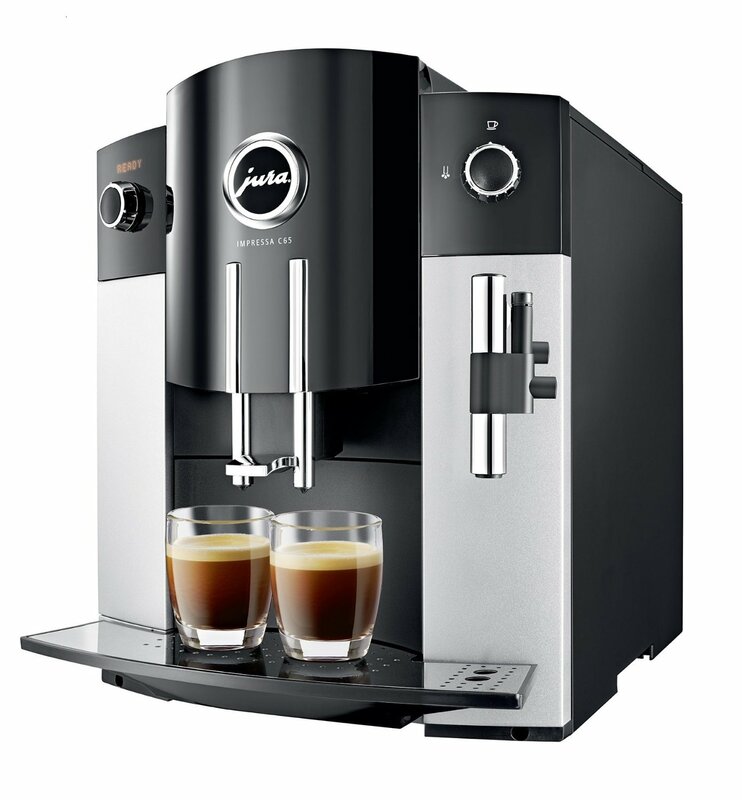 Overall, the J90 is an impressive espresso machine that makes it easy for you to prepare a wide range of drinks with the push of a button. On top of that, maintenance is also a breeze, so you won’t need to worry about spending a lot of time on that. Jura’s Impressa XS90 is a true “one touch” coffee system. With the touch of a button, it can produce no less than 12 different coffee drinks, including the ever-popular espresso, cappuccino, macchiato, and latte. Exceptional customization options within the easy-to-navigate user interface allow you to create the perfect cup of coffee every time. Save energy with this system’s automated Energy Save Mode, and minimize your maintenance with its integrated automatic rinse and descaling system. 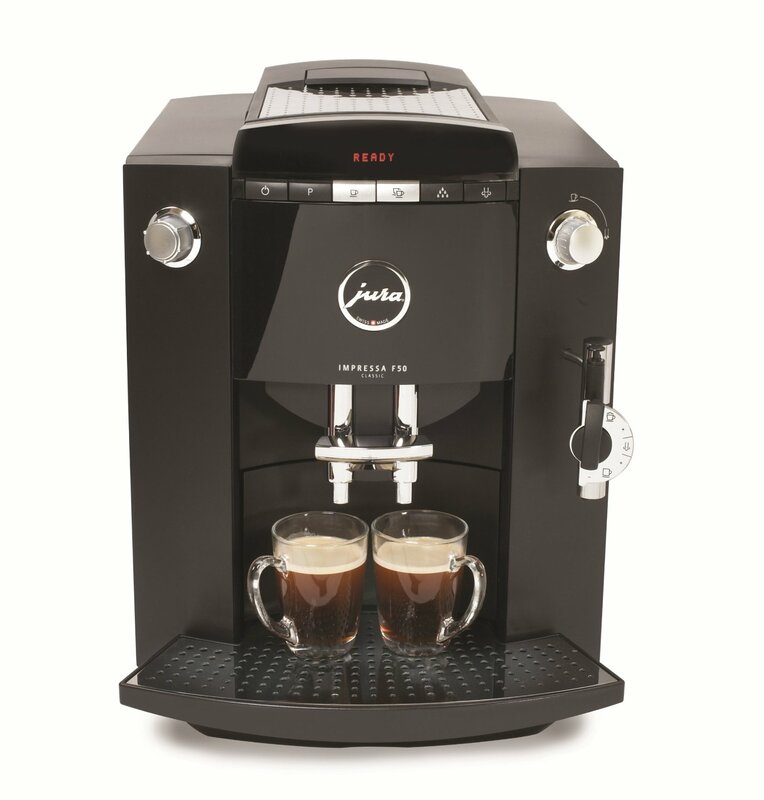 Jura’s trusty Impressa F50 is a favorite of home-brewers for its versatility, ease of use, and convenient automatic rinsing system. The rotary selector and plain text display are user-friendly for simple operation. With two programmable aroma levels, you can give your home the feel and aroma of your favorite coffee shop. Brew coffee to your specific standards with three different options for coffee strength. The conical steel burr grinder will grind your favorite coffee beans to your exact specifications every time, while the integrated milk frother allows you to make rich cappuccino foam. The auto-on and auto-off settings make it simple to have your coffee ready at a pre-determined time every morning. An integrated Clearyl Blue water filter removes impurities so you can get a great-tasting cup of coffee, even with tap water. The Impressa F50 includes a removable 64 oz. water container, 8 oz. bean hopper and height adjustable coffee spout. The Jura A9 simplifies your morning brew process with touchscreen commands and one-touch technology. New grinding technology brews quickly and quietly, so you can get out the door without waking the house. The cutting edge streamlined design looks great on any kitchen counter. The patented Aroma+ system grinds beans immediately before brewing to preserve flavor for an exquisite cup of coffee with minimal effort. Have a cappuccino lover in the house? They’ll love this machine’s one-touch technology, which allows you to brew a cappuccino without ever having to move the cup. Touchscreen commands make this coffee system a breeze for anyone to use. A programmable coffee strength feature ensures that your machine remembers your perfect brew every time. The adjustable dual spout is illuminated for ease of use even in the dark early morning hours. Two different energy saving systems keep your energy costs to a minimum. Energy Save Mode kicks in after 5 minutes, while an auto-off feature shuts the machine down after 2 hours of inactivity. The sleek, compact design of the Impressa C65 is a beautiful but understated countertop piece, suitable even for small counters. Fine foam technology produces silky, feather-light foam with the push of a button. Impress your house guests with a perfectly frothed cappuccino all from the comfort of your home. 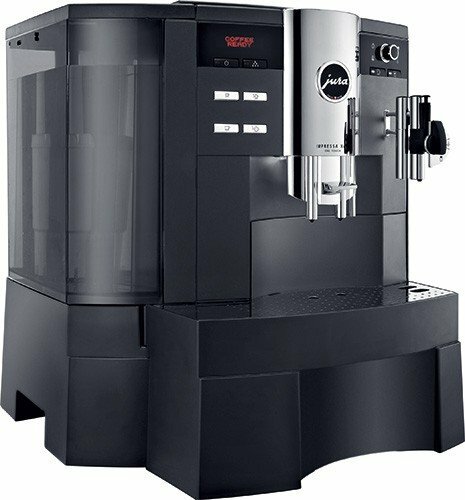 This Jura Impressa C60 Automatic Coffee Center is a classic beauty with super-automatic one-button switch. It uses rotary switches for easy manual control. The elegant black housing with stainless steel accents give this system a classic and luxurious feel. It has 15 bars of pressure to produce a silky smooth cup of coffee. You can count on Jura’s fine foam technology effortlessly to produce rich froth. Its easy-to-program features allows you to save your favorite drinks, then to recreate with the push of a single button. The height-adjustable spout is perfect for short and tall cups. An auto shut-off feature provides safety and energy efficiency. The water tank has a 64 oz. capacity to brew cup after cup of perfectly crafted coffee. 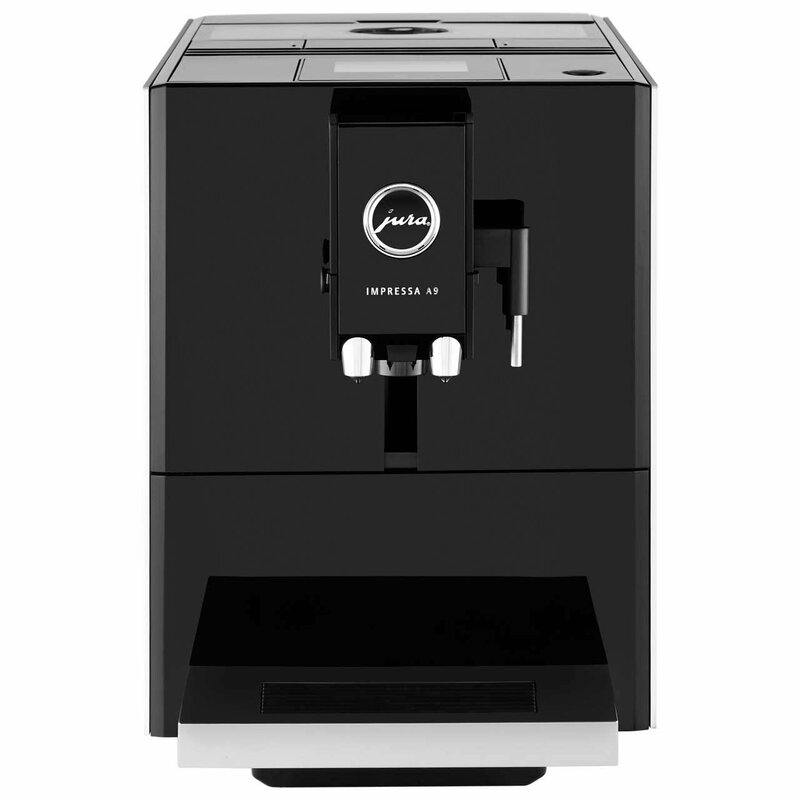 The Jura impressa C60 has an impressive warranty – it comes with a two-year warranty by Jura! 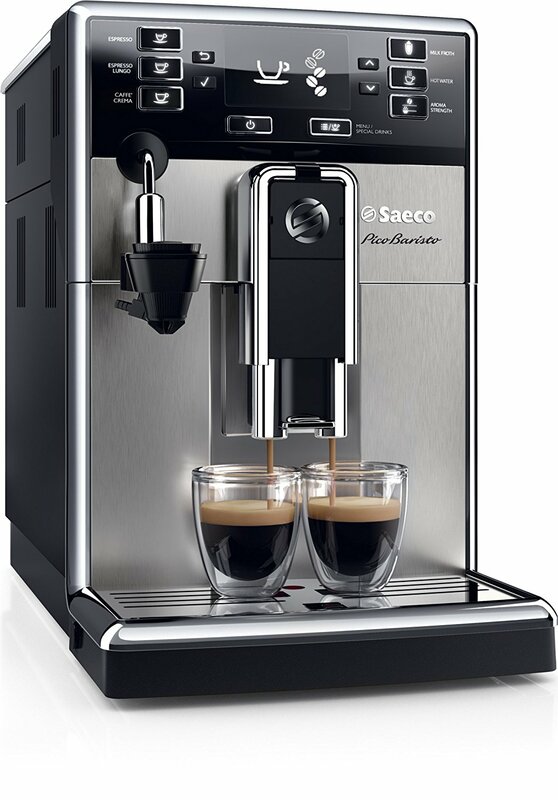 The Saeco PicoBaristo HD8924/47 Super-automatic espresso machine is a well-designed, compact machine that produces exceptional coffee automatically. For more detailed information, see our complete review here. The Saeco HD8930/47 Royal One Touch Cappuccino Automatic Espresso Machine is an Amazon Best Seller that is a feature-rich machine designed for great coffee with great features and easy maintenance. This Saeco HD8930/47 Royal One Touch Cappuccino Automatic Espresso Machine is a consistent high performer popular among purchasers and an Amazon Best Seller. We recommend this product. For more detailed information, see our complete review here. 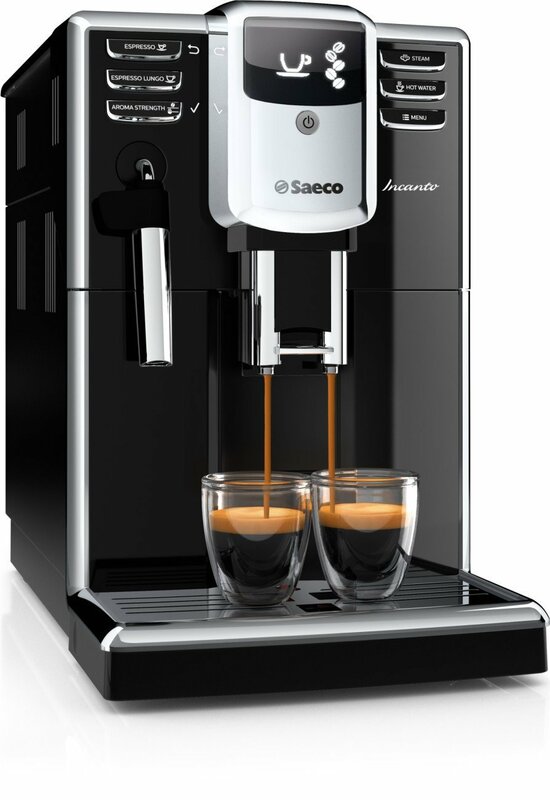 The Saeco X-Small Vapore Automatic Espresso Machine is a feature rich, compact super automatic espresso machine. 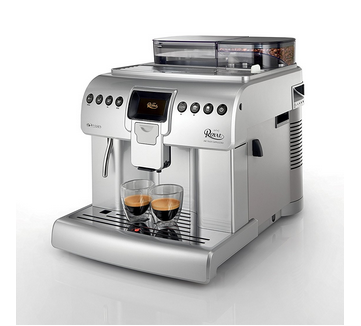 It produces great coffees automatically and is priced attractively while still having the features you want. If you’re in the market for a compact, high quality espresso machine at a reasonable price, then the Saeco X-Small Vapore Super Automatic Espresso Machine may be exactly what you’re looking for. For more detailed information, see our complete review here. 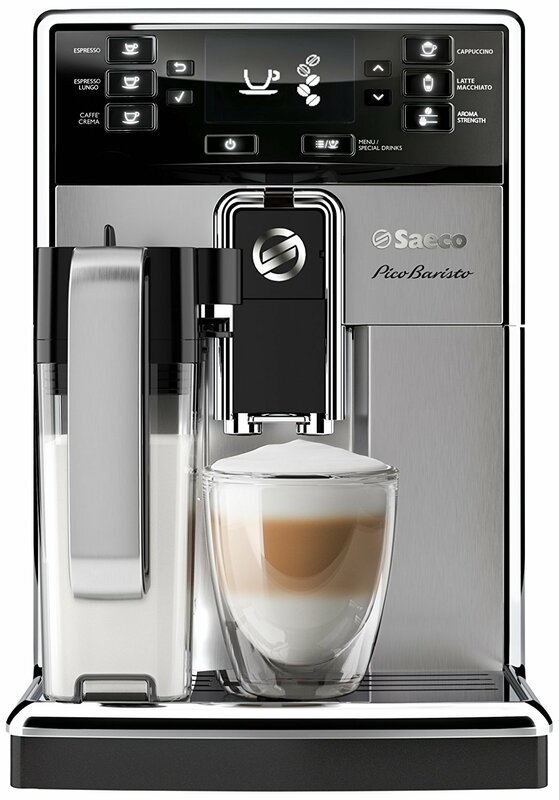 For the very best tasting espresso drinks, you should take a look at the Saeco PicoBaristo HD8927/47 Super-automatic Espresso Machine. Incidentally, you will be getting a compact, high quality espresso machine with lots of features. For more detailed information, see our complete review here. 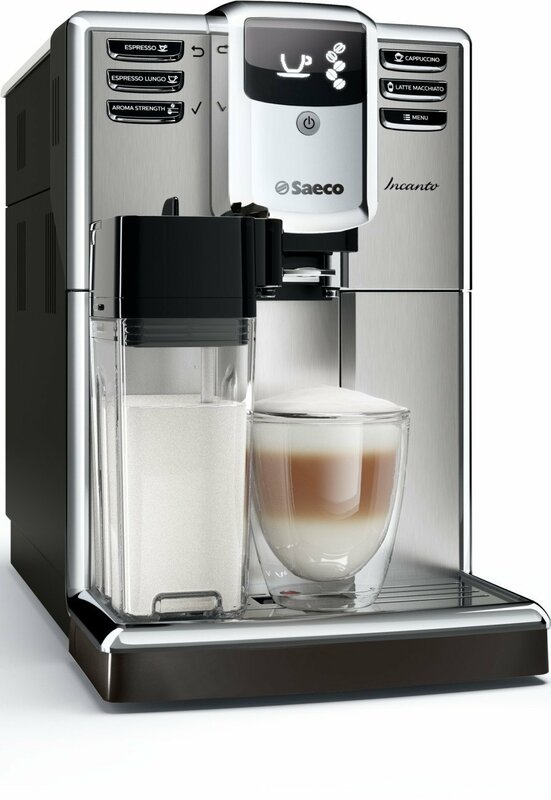 The Saeco HD8917/47 Incanto Carafe Super Automatic Espresso Machine is another popular and well-reviewed espresso maker from Saeco. 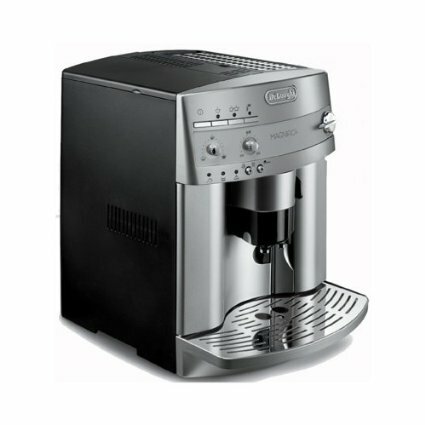 This well-designed expresso machine produces a variety of tasty beverages automatically and with minimum maintenance. 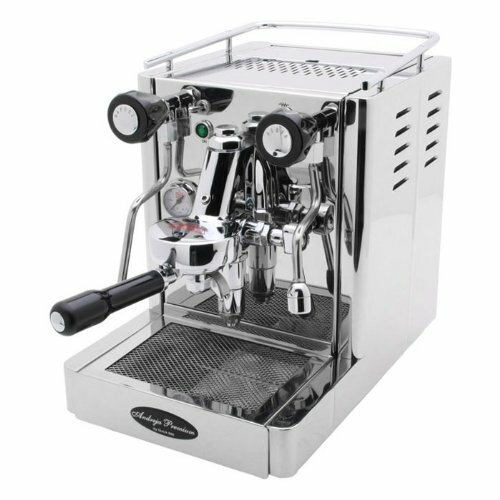 Its styling and materials mark it as a top quality espresso machine. For more detailed information, see our complete review here. If you’re in the market for a super automatic espresso machine that has all the basic features while being a high quality, stylish, and quite moderately priced, then you should consider the Saeco HD8911/47 Incanto Carafe Super Automatic Espresso Machine. For more detailed information, see our complete review here. 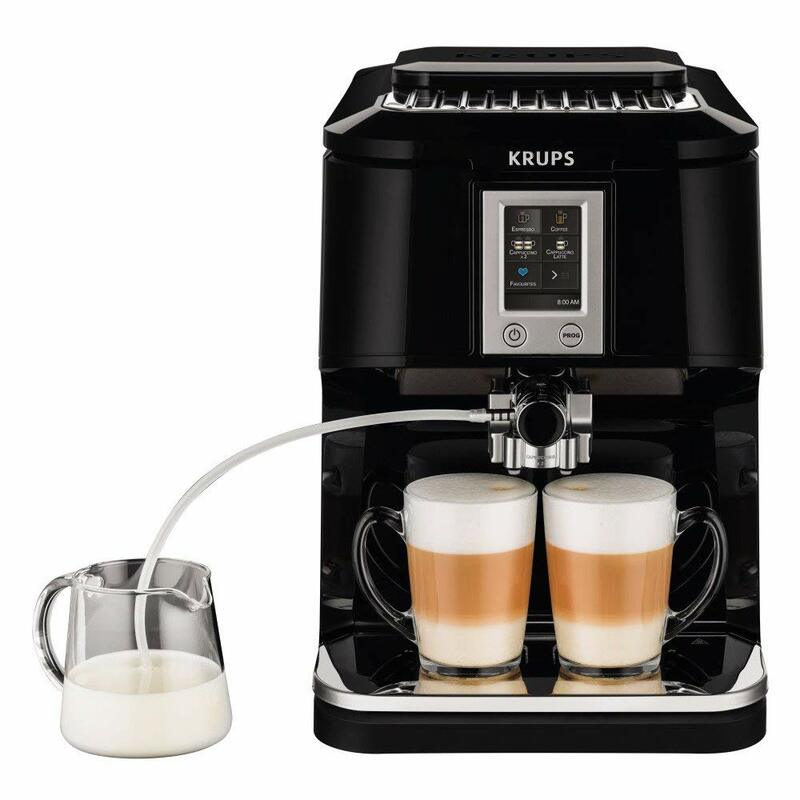 Make quality espresso with the Krups EA9010 Barista’s powerful 15 bar high pressure pump. Craft cafe-style cappuccinos with the automatic steam nozzle, complete with 2-step frothing technology. The EA9010 deposits steamed milk directly into the cup to keep froth at its hottest possible temperature. For extreme ease of use, this system has 100% frontal use. The automatic cleaning system takes care of regular cleaning so you don’t have to, and a Claris water filtration system means you can use regular tap water and still enjoy a delicious cup of coffee. 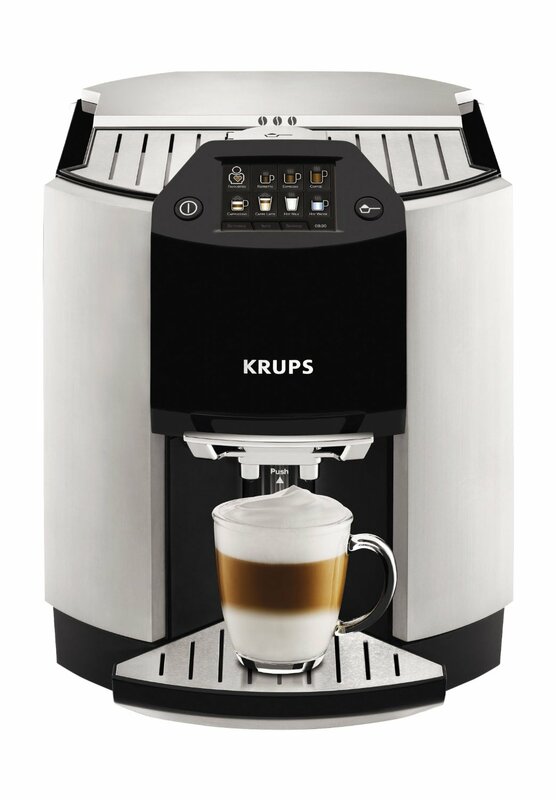 The professionally-inspired Krups EA8808 Two-in-One Super Automatic espresso and cappuccino machine combines a stylish compact design to produce a large selection of perfect espresso drinks with the touch of a button. The metallic conical burr grinder produces the perfect grind for the perfect brew. One of the key features of this machine is the ability to make 2 superb drinks at once! Using the Krups Two-in-One is a breeze. A user-friendly color touch screen allows for easy selection of drinks and beverage customization including ristretto. Even novices can enjoy the process of customizing their drinks like a pro. Tricky cappuccinos are made simple with the auto-cappuccino accessory and fully automatic steam nozzle. Cleaning the system is just as easy as using it, as this Krups machine is designed for easy maintenance and cleaning. The ground collector and water tank are both fully removable for easy cleaning. Brew a consistently perfect cup every time with Quick Mill Monza’s copper boiler, which ensures temperature consistency. Pre-infusion technology pre-soaks the coffee puck immediately prior to extraction, enhancing flavor and aroma for a true cafe-quality cup of coffee. If you’re looking for maximum versatility, the Monza Deluxe is compatible with both whole coffee grounds or pre-ground coffee. This is especially helpful if you have a decaf coffee drinker in your house, as it allows you to easily switch between whole and ground coffee. The powerful 4-hole steam wand allows you to froth and steam milk to your desired consistency with ease. Or use the built-in auto frother for extra convenience and simplicity. An LCD display with 5 colors allows you to select your drink, then sit back and wait for your perfect cup. Programmed cleaning features make maintenance effortless. For descaling, add descaling solution and run the program. At 52 watts, the Andreja Premium’s vibratory pump is much more powerful than its previous version. This allows it to operate with less strain, producing less noise. Brass ends on the pump are longer lasting and leak resistant compared to plastic ends on many machines. A built-in heat exchanger brews coffee and steams milk simultaneously to eliminate wait time. It also includes two complete chrome-plated portafilters with handles (one single and one double). With a 3 liter water reservoir, the Andreja is ideal for large gatherings. The reservoir is removable for easy refilling and cleaning. 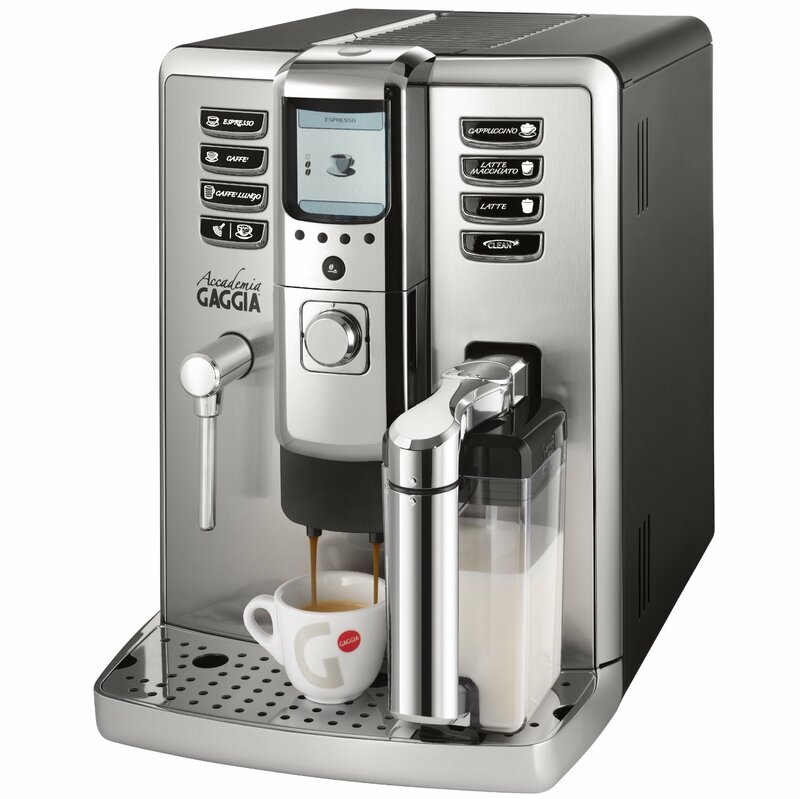 The DeLonghi ECAM28465 uses an integrated frothing system and the milk container in order to immediately deliver to your cup both the right amount of frothed or steamed milk and freshly brewed espresso. That’s not all though: you also get a dual stainless steel-lined thermoblock heating that provides steaming and brewing power for your various coffee drinks. 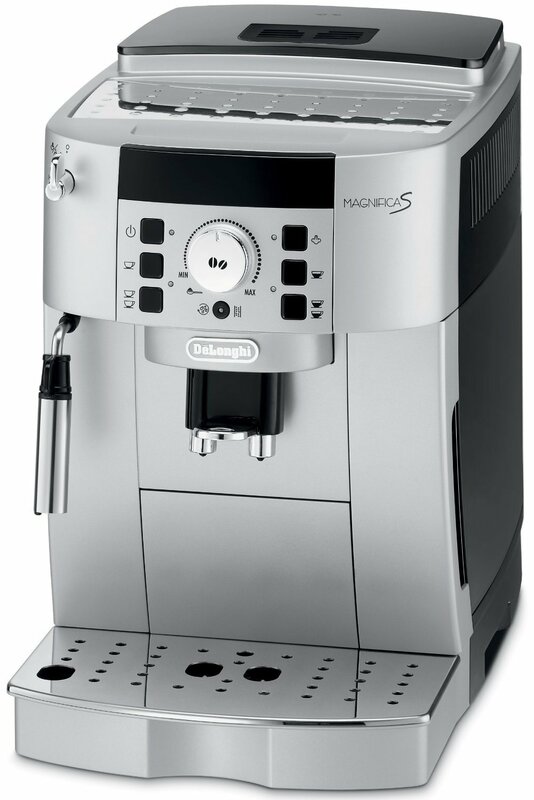 Lastly, you can say goodbye to espresso and other drinks any metallic taste in your coffee that you probably got with other machines and that’s because the Prima Donna S features a stainless steel lining which prevents that from being the case. 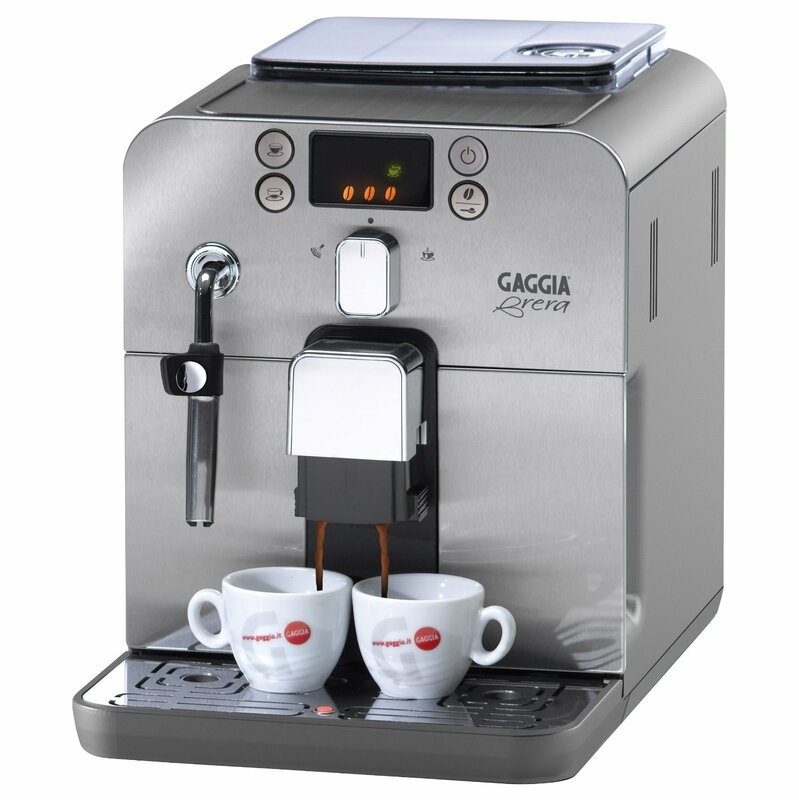 The Gaggia Brera is a great budget super automatic espresso machine that not only has a small form factor, but it’s also very well designed and looks great on any kitchen counter-top. When thinking about it, the first thing that comes to the mind of those that already use it is convenience. For example, the water tank, drop tray and the dregs drawer are all within reach and can be easily accessed from the machine for simple, swift maintenance and regular cleaning.